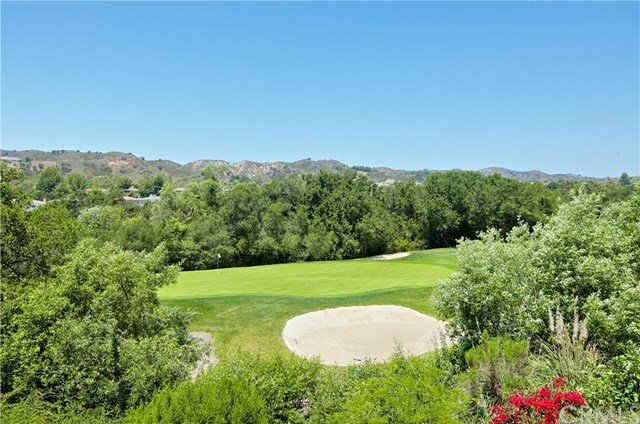 Gorgeous, turnkey, bright and airy, private cul-de-sac home that sits on the golf course with panoramic views. This lovely 4 bedroom plus office and loft includes a downstairs guest bedroom with a private bath and sits on a pool size lot. The gourmet, newly renovated kitchen includes under cabinet lighting, beautiful quartz countertops w/glass tile backsplash and a large center island. The adjoining family room features a fireplace w/travertine hearth and built in cabinets. This home offers an excellent floor plan for comfortable living and great entertaining along with many newer upgrades: Owned Solar energy, whole house attic fan, 2 Nest WiFi enabled thermostats, WiFi enabled alarm system! Some additional features include newer decorative lighting downstairs, in-ceiling lighting converted to LED, porcelain wood-look tile floors, newer carpeting, paint throughout, glass shower door in master bath, retractable screen doors, living room French door w/dual screens, epoxy garage floor and upgraded powder room. The backyard features an inground spa, built-in gas grill with stainless steel cabinets & fridge and expanded palapa covering w/newer lights and three new electric outdoor heaters. This home boasts pride of ownership throughout!